MyBriefs.com: Musings of Maestro R: What is Political? Musings of Maestro R: What is Political? It is common practice for human resources to dissuade discussions of politics, because it is controversial and often an unnecessary topic of divisiveness. Plus, it generally does not have anything to do with actual work, save for these moments. But I am not intending to be political, namely because I cannot define it. It can be such a lazy word, where English teachers and professors grow irksome at its usage. What is "it," right? Well, "it" here is "political," and quite frankly it covers whatever you’d like it to, which is somewhat problematic. It is why ESPN dropped Hank Williams, Jr. from "Monday Night Football," and although he had been slipping, it was not the talkative travesty that now introduces "MNF." I enjoy Jon Gruden. He speaks directly and often straight-lace, albeit not drily. The telecast has passion and a little lightness to kick it up; three hours of strategy applied and adjustments on the fly, mirroring the grind of the gridiron. Politics is why Harry Reid has mention with the Washington Redskins name issue when he should not, for it is a fan issue, not insight for political grandstanding; same as with Congress in baseball. Illegality, as with Major League Baseball, or undoing the reminders of accepted racism, are potentially items to find within an agenda; however, generality is not an excuse to include. Just as ignorance is no excuse to break the law, right? Political science, after all, is both theoretical application and practicum of politics. It’s a broad spectrum antibody, essentially, which means you can hit the cause or the reactions could worsen the condition. Sports could be capitalism and utilitarian, similar to America, but ultimately protection of the innate comes prior to the outsiders. Ultimately, the team and league overall comes first, the fans' desire second, while appeasement is not a consideration. So far this story banal and structureless, to an extent, but this stems from two major issues: The Redskins name issue and Donald Trump having his PGA Grand Slam hosting duties yanked from Trump National Golf Club in Los Angeles. Trump has 17 courses and is a major investor who has reinvigorated golf economically. He is a real estate mogul who seems to feel no bounds, be it trying to purchase the Bills or once again running for President – the reason he is losing his sponsorship. Let it be known that asking anyone to be apolitical or to not use sports as means of a plateau is ever improbable, even if nothing more than recalling Jack Kemp, Steve Largent, Jon Runyan, Heath Shuler, Willie Brown, Kevin Johnson, Lynn Swann or Bill Bradley, high level athletes who have or had ties to political office, being it victory or loss. Furthermore, Jackie Robinson is the apex of political integration in sports, but it was still subtler than the hatchet that splits the prefrontal lobe of sporting society, with a big reason being social media, of course, while David Muir of "World News Tonight" has advocated for using this medium to exercise your voice; this is a conundrum. We are talking about complicity in the eyes of the public persona if you do not overtly denounce the offender with a firm vigor, which boils down to having Trump’s course abdicate its kingly duties for the popular match. It is about money. Another difficulty is how specific we claim the political motive to be versus vagueness and ambiguity. We can use a political reference: the very specifics are likely the very wealthy, whilst the poor take on the opposite end, leaving a stretched middle class to burden what is political. Is it Phil Jackson stating the Cavaliers ran a boring, limited offense steeped in isolation? In 2011, the Mavericks utilized a lot of that set to win a title. With that said, I agree with him, especially after the Spurs' wonderful display of pass to the guy open the previous year. Is it sour grapes for the woeful Knicks, who wound up picking just inside the top five? That could be said in regards to Red Auerbach’s dismissing of Jackson’s greatness after he received his 11th ring as a coach, besting the cigar fan. 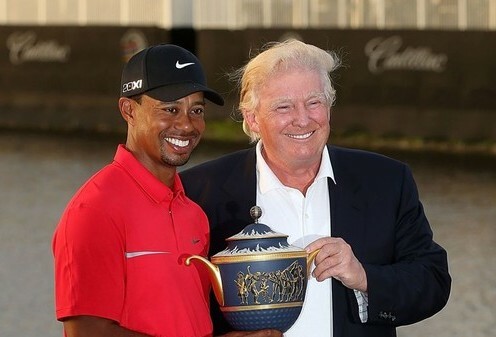 How about the Golden Bear’s snarky and smarmy assertion “he should have won 20,” when he saw Tiger in his neck of the woods? Some call it competitiveness, others childish and poor sportsmanship, some may see racist undertones (I do not. Political moment just made), and yet others a political message of always doing your best. Then there is elementary and high school sports, of who knows whom, and who benefits as such. If a parent ensures their kid is advantaged, and helps a fellow friend as well, who is more political? A recipient, particularly willfully, is still a participant, even if they were pandered versus pushed. Even if they do not threaten to remove but a presence, even replaceable, and perhaps they have a talent-laden child, are they political for “playing a game”? We herald those who are creative outside their circle, like literature and social references in sports, sporting references in business and so on. Furthermore, if only a single person reads into something, even if it stays with them and the intentions do not merit the response drawn, is it any less a stand to be taken? In conclusion, it seems political has a winner and loser. No wonder it is so difficult to distinguish it from sports.